Mid length dress with short sleeves with full length button closure , double front design scoop neck inner layer, v-neck top layer. 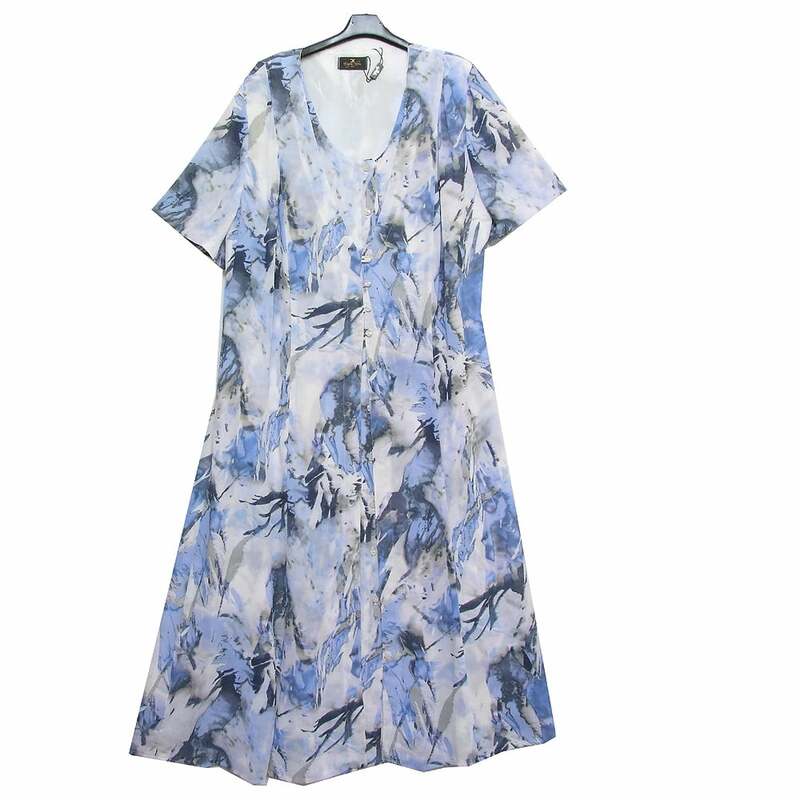 Lightweight cotton and silk mix printed with a white blue and grey abstract design. Shells 76 percent cotton 24 percent silk, lining 100 percent acetate.